In the other direction, historic West Falmouth Library (offering WIFI) abuts the property and less than a mile beyond is Chapoquoit Grill, a local favorite for dinners. Beyond the Grill is the entrance to the well-known Falmouth Shining Sea Bike Path which takes one through breath taking scenery to the lovely village of Woods Hole. Lastly but arguably the most appealing aspect of this rental location is the favorite resident beach, Chapoquoit Beach. Its sandy shores offer magnificent nightly sunsets. All this is .6 of a mile away! Now, in 2010 the bike path goes from North Falmouth to Woods Hole. You can get on it around the corner from my house!! This well-equipped 3 room apartment, located on the second floor, includes a bedroom with a queen sized bed and full private bath. A kitchen for dining in as well as an additional room which is perfect for reading or watching TV completes this apartment! My husband and I had the pleasure of staying in this wonderful little apartment recently. It is in a great area of West Falmouth. Walking distance to the West Falmouth Market, close to the beach and a short drive to Main Street. Anne was the perfect hostess. She knew we were looking at properties to buy on the cape and she was very helpful in giving us advice on the different communities. She even tore out the real estate section of the paper and circled homes that may fit our needs. The house is charming and cozy and the little kitchen is perfect. Anne stocked it with fresh fruit and yogurt, coffee and tea. We felt right at home. If you are coming to Falmouth and need a place to stay, I would highly recommend this comfy, clean, and inviting Sea Captains Home. We had a wonderful stay in West Falmouth. The owner was so gracious and welcoming. The apartment had everything we could want and was very clean. Everything we needed was provided even coffee for the coffee maker, fruit and granola for breakfast. The apartment was very comfortable and was located just a short drive from Falmouth in the lovely West Falmouth area. There was a great market close buy that had almost anything you could want. The owner was readily available and was very helpful with any questions about the area. We thoroughly enjoyed our stay and will probably return in the future. One of the best vacations we have ever had! Anne is a very hospitable lady who welcomes you into her 1820 circa home like you are family! The location is perfect .. close to beaches, bike trail, ferries and restaurants. We will definitely return if her home is still available next year! Excellent location, well-provisioned for our arrival, more than enough space to be comfortable. 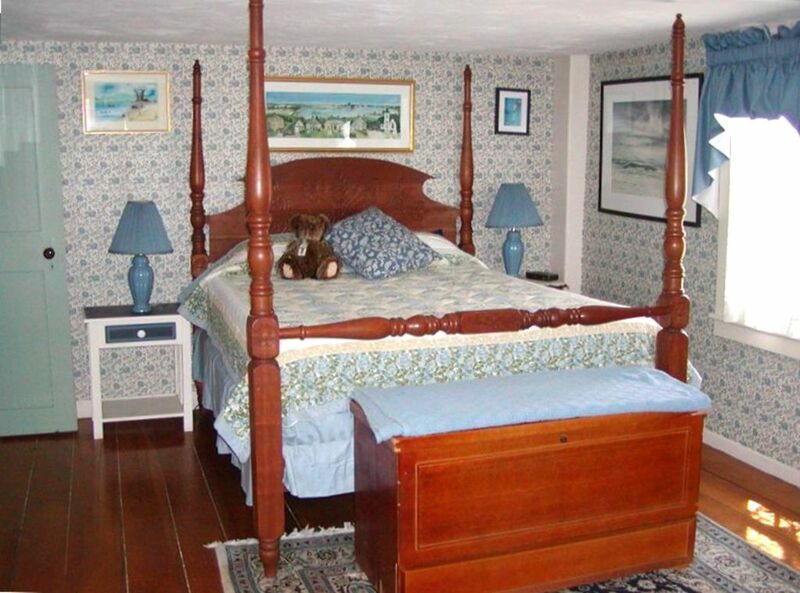 This is a really great place to stay for a beach-centric vacation in the Falmouth area. It is very reasonable walking distance to Chappaquoit Beach, and a short drive to Old Silver Beach. The space includes pretty much the entire second floor of a circa-1800 home, with a kitchen that is supplied with some nice breakfast basics to get you started. The owner is very helpful without being intrusive, and that is really great from a guest's perspective. A little research on the area and a willingness to explore a bit will repay you with a lovely vacation experience. This place is highly recommended. My husband and I recently stayed in Anne’s rental. It was wonderful! There is a bedroom with comfortable queen size bed, bathroom, full kitchen, (Anne had it stocked with breakfast items), and a tv/sitting room. We enjoyed the scenic walk to the beach, Falmouth Village, restaurants, and ferry to Martha’s Vineyard. Anne was very helpful with information and recommendations. This was one of our favorite vacations and we can’t wait to go back.